Pendergrass Promos Inc. - Pendergrass Promos Makes the News! Pendergrass Promos Makes the News! The Athens-Limestone County community is celebrating their small businesses and their owners this week. Kevin Pendergrass of Pendergrass Promos began his business in February 2016. "The biggest thing that I always tell people is commitment," Pendergrass said. "You have to commit and be willing. You can't just say, 'we're going to start a business then we're going to become millionaires in the next few months.'" On Tuesday morning, Pendergrass offered advice to people hoping to turn their dreams into plans. "They think, 'If I have a Facebook, if I have a Twitter, if i start my own business, I'm going to get so much business, I'm going to get so much sales.' You really have to follow up," Pendergrass said. The Greater Limestone County Chamber of Commerce works to support small business success stories. "When a new business is starting out, being able to get out there, promote yourselves and make sure that you have the available resources that are needed to help you get started in the right direction," Jennifer Williamson, Greater Limestone County Chamber of Commerce President, said. Successful small business owners say patience and perseverance is key. "Giving more than you receive. Treat others the way you want to be treated. Working hard; taking responsibility for your actions," Pendergrass said of the words he lives by. 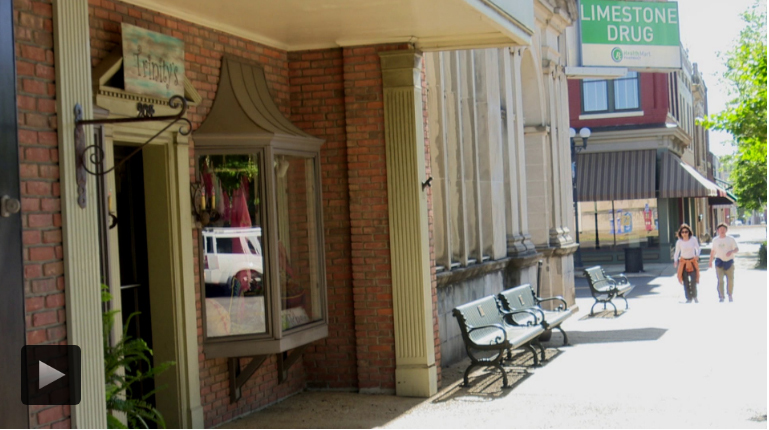 Athens-Limestone County continues celebrating its small businesses all week. On Wednesday, the city is encouraging everyone to eat local and share photos of your visits to local restaurants.